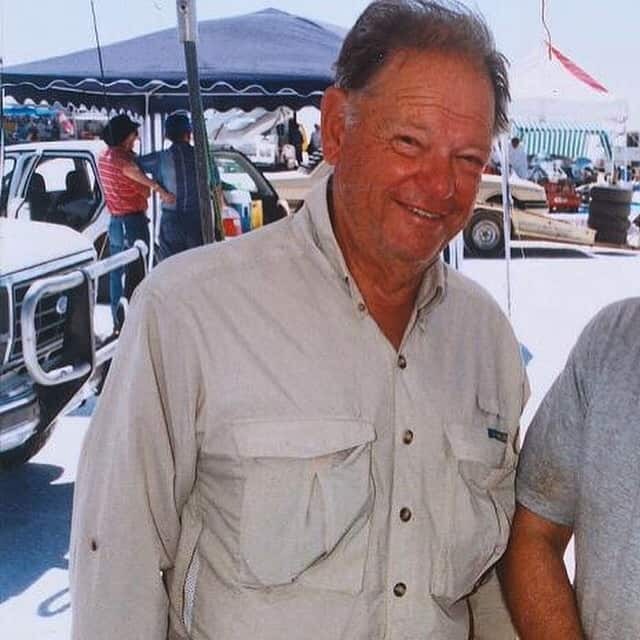 Former Associate HOT ROD magazine editor and publisher Charley Roy Ugama Waya Golaneeda, known around the automotive hobby as LeRoi “Tex” Smith, passed away on June 11 in Australia, where he had lived during the last years of his life. Smith was an icon of the hot rodding sport, but was always involved with all types of old cars and old car events. Clarence LeRoi ‘Tex’ Smith was born in Cleveland, Oklahoma, to Esther Mae Welch on Jan. 4, 1934. Later, he took the name of his stepfather, Carlos Debs Smith. Tex was of Cherokee and Choctaw heritage. He was a member of the Cherokee Nation of Oklahoma and the Cherokee Band of North Carolina. His Great Grandfather and Great-Great Grandfather were principal chiefs of the Eastern Band of Cherokee. Tex was trained in tribal culture by his grandfather, Charley Welch. In the 1960s, he became very active in tribal and national Native American affairs. On occasion, Tex was commissioned to write articles and conduct public relations forums for other Indian tribes. Tex stayed in Oklahoma until he was six. In 1940, he went to Texas and then to California in a typical “Okie” search for better jobs for his dad. His stepfather was a craftsman skilled in many trades. He worked in oil fields in the Bakersfield, California, area and then moved to Washington, where he became an interior carpenter on World War II Navy PT boats. Carlos then became a journeyman auto body and paint expert in northern California. During this time, Tex rarely attended one school for more than three months. The family moved to Rexburg, Idaho, in 1949. Tex graduated from Madison High School there in 1951. 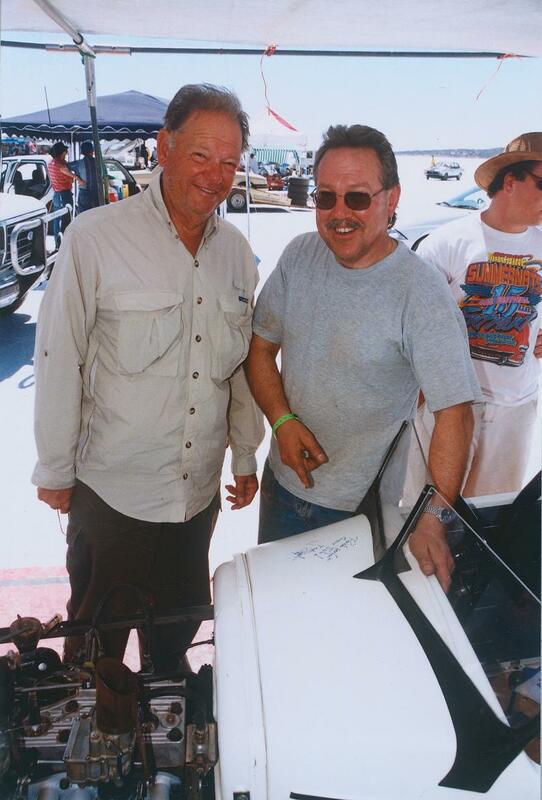 Tex was a supporter of the first Bonneville Salt Flats speed trials sanctioned by the Southern California Timing Association (SCTA). He crewed for Lee Wooley’s Buick coupe in 1952. Also in the ‘50s, he raced a ‘32 Ford coupe with a flathead. Tex remained a fixture in land speed racing, most prominently as a journalist. 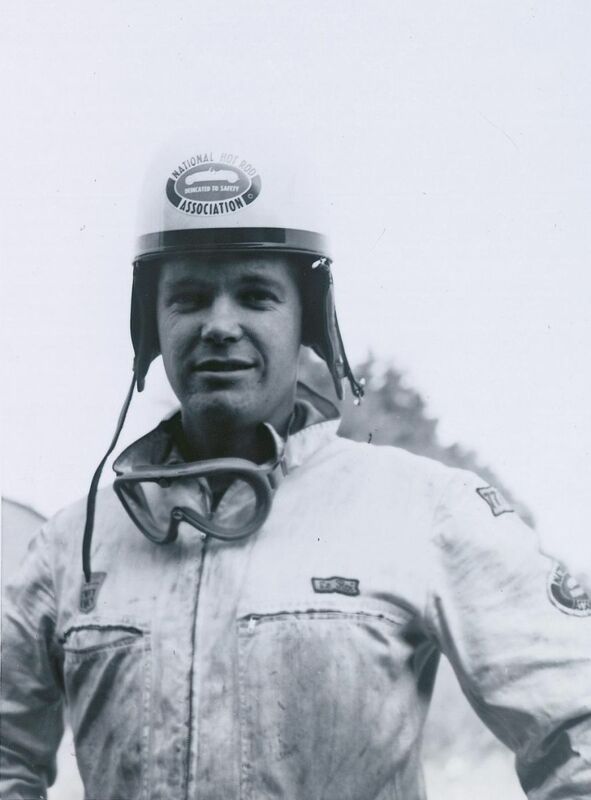 Tex continued to develop his interest in specialty cars (hot rods and circle track racers) during the early years of those sports in Southern California. In this period, he worked closely with the legendary Wally Parks on development of the National Hot Rod Association. Over the years, Tex served as NHRA’s international Ambassador, European Director and National Field Director, working out of a Hollywood office. He formulated and directed the activities of NHRA drag racing, created the International Car Club Association for NHRA, and developed programs related to driving sports cars in European races and rallies. After one year at Idaho State College and one year at Ricks College in the early postwar years, Tex signed a contract to play professional baseball in St. Louis, but he was then drafted into military service during the Korean conflict. He was selected to attend the U.S. Air Force’s cadet program and graduated as a Lieutenant specializing in piloting single-engine jet fighters. The Air Force provided Tex with further training as a Personnel Officer. He was assigned to bases in France and Germany, but left the service in 1957 via an early-out program to accept job as Associate Editor at Hot Rod magazine in Los Angeles. He then took additional college courses at Montana State University, but left just prior to graduation to return to Hot Rod. “I was already in a career that I thought I needed to finish college to get a career in,” he once told us. 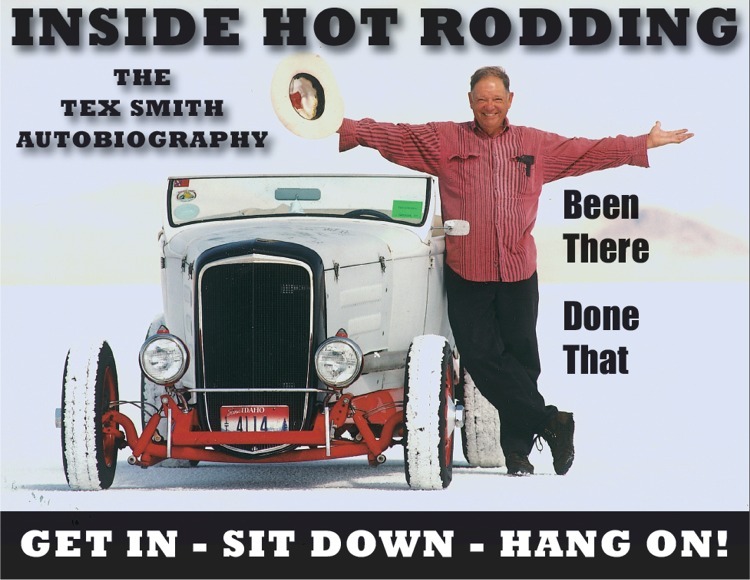 Tex left Hot Rod in 1964 to launch a successful free-lance writing career. He expanded into writing books for various New York publishers including Dodd, Mead & Co. during the ‘60s. He wrote on wide range of activities, specializing in sports of interest to men — boating, aircraft and cars. Tex wrote a book called We Came In Peace, a look at America’s first moon landing. He created an outline for a popular outdoors TV show, did magazine promotions for Boy Scouts of America, undertook public relations writing for the White Mountain Apache Tribe and, from the ‘60s thru ‘70s, wrote many Petersen specialty automotive books. Tex created TRM Publishing Co. as the foundation for Tom McMullen’s company. Starting in 1968, he introduced a series of successful magazines such as Street Chopper, Chopper Guide, Hot Bike and Street Rodder. Tex also helped put Tom Medley’s Rod & Custom magazine into the mainstream as the voice of the emerging “street rod” movement. He also did much to generate direction for what was a fast developing new aspect of hot rodding in that era. In 1979, Tex moved to Iola, Wisconsin, to become editor of Old Cars Weekly and was almost immediately promoted to publisher for all of parent company Krause Publications’ automotive titles. From there, he moved to Dallas, Texas, to become PR Director for Interstate Battery Co.’s Great American Race in the early days of that event. In 1985, LeRoi retired — for the first time — and relocated to Idaho to live and go trout fishing in the Teton Valley. In 1987, Tex came out of retirement to start his own publishing company based around a popular magazine he created called Hot Rod Mechanix. He also developed an ever-growing line of specialty books. LeRoi Smith retired for the second time in 1999. Following the death of his beloved wife Peggy, Tex remarried. From that point on, he split his time between homes in Idaho and Australia, with stopovers on Kauai, Hawaii. This entry was posted in Blog and tagged castelmaine, Hot Rod History, Hot Rod legend, hot rod magazine, Hot Rodder, rod hadfield, Street rodder, Tex Smith.